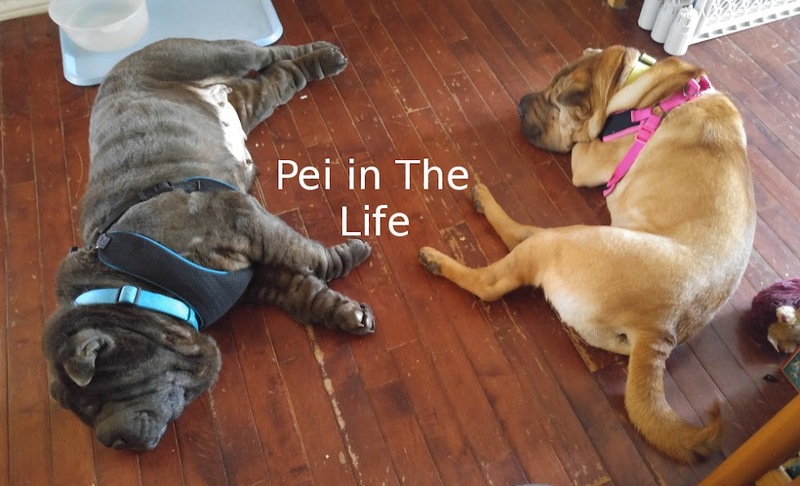 Pei In The Life: 3rd Week of Nosevember Contest! There you go for everyone who liked the Pei in the Leaves picture from last week, there's another one! Nose 3: Shepherd Cross - Pippa - Mom and I were surprised most people said Greyhound. Nose 5: Horse - Vidock at The Poupounette. Thank you to my awesome nose volunteers! And now for our last week of noses! Are you ready? Phew! That's it for the noses. Mom and I have decided that three weeks of noses is more than enough - we don't want to cut into Pei-vent too much. As usual, email me your answers bolo (at) magma (dot) ca , leave your answers in the comments or send them to me on Facebook. A HUGE thank you to everyone who supplied Noses, I couldn't have done this without you! Mom and I will tally up the points in about 10 days and advise our winners what they've won! I hope it's stuff everyone will like and be able to use. I guessed! This one was very tricky. Are they all noses at your estate? I was hoping for Puppy nose. This has been so exciting. Mommy screwed up and forgot to send out answers for last week but we didn't tell her we're mad because she might put it on our naughty list. We know we're wromg on most of these but Mommy is sending out guesses right now. Have you ben naughty or nice? PS....You are so cute in the leaves!! I just did a post about your contest. Hope ya like it. Wow, Bolo! It's getting harder and harder! We'll have to think seriously on that one! I'm here. Me, Pippa. although I have forgotten to log in as me. Need to have a quick lookie please to try and have a guess. Hold the press please.